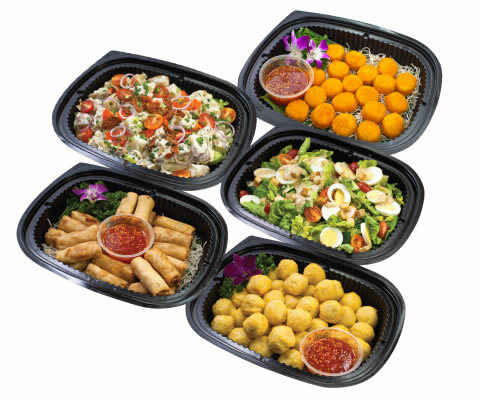 Gone are the days when numbers are required to cater, the mini buffet allows for just a minimum of 8 pax to cater. Great for family-styled potluck parties, house parties or you cozy gatherings with your friends! 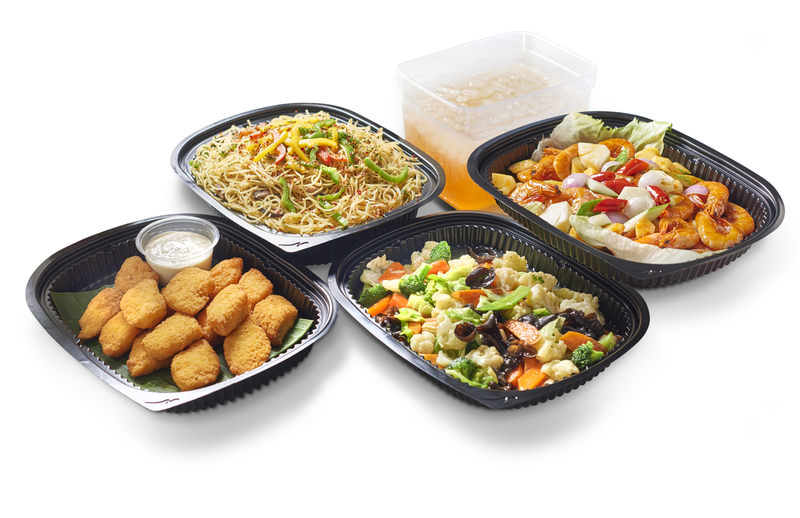 Sit back, relax and let us deliver the food over to you. A cosy 8 course set that’s perfect for your house gatherings, choose from a wider selection of dishes such as the all-time favourite, Signature Curry Chicken, Thai Pineapple Rice or Mini Chocolate Éclair. 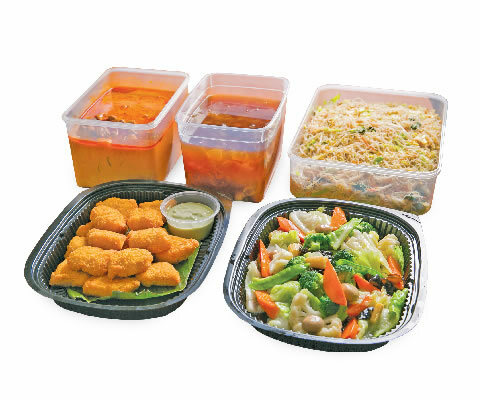 Food is served in lightweight microwavable containers packed in recyclable warmer bags. Comes with full set of disposable cutleries and serviettes. Mini Buffet starts from $14.99 per pax. International favourites such as Baked Mussel w Herb & Garlic, Penne Pasta w Marinara Sauce, Thai Style Fish are added into this mini buffet menu! Choose up to 8 courses & curate your very own menu for your cosy party at home. 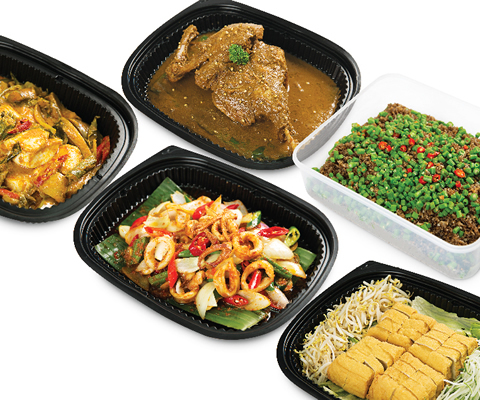 Food is served in lightweight microwavable containers packed in recyclable warmer bags. Comes with full set of disposable cutleries and serviettes. International Mini Buffet starts from $15.99 per pax. International Mini Buffet starts from $15.99 per pax. Authentic nonya dishes like our Ayam Buah Keluak, Nonya Sayur Lodeh, Sambal Petai Prawn that are rich and full of complex flavours can be found in this Mini Pernakan Buffet! Peranakan Mini Buffet starts from $17.80 per pax. Mini High Tea Buffet starts from $6.50 per pax. For a group of 8 pax or so, you can opt for our Mini Party Set. 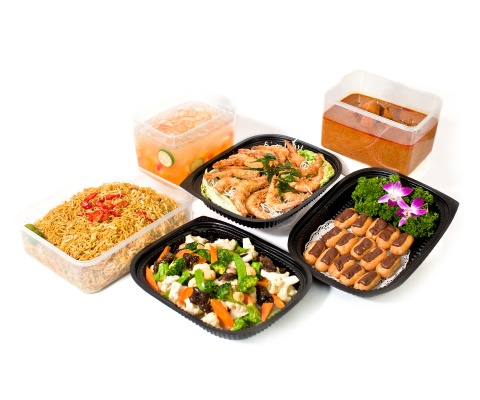 Choose from our specially curated 12 party sets that comes with 5 dishes each, according to your favourite cuisine: Singapore Goodness, What a Spread, Thai-tastic, Ah Ma’s Favourite, Genkidesu, Oh Bagus, Jiak Local, Bon Appetit, Bollyfood Fiesta and Hi-tea!